THE disability pension for our soldiers should be reviewed. The Government must seriously consider reviewing this long outdated disability pension for all servicemen, especially those who were injured during active operations against the enemy. At present a serviceman who sustains injuries and is disabled is paid a disability pension based on his rank and basic pay calculated at the time of the injury. Even if he continues to serve in an appropriate appointment that commensurates his injury and earns a promotion, his status as far as calculating his disability pension remains just that of a private soldier. Often young soldiers and junior officers are at the forefront of battle and invariably make up the largest number of casualties. It is thus unfair that these brave and dedicated men who despite their handicap continue to serve King and country are denied the disability pension calculated on their last drawn pay. This effectively means if a private is injured while in service and continues to serve and is promoted (four rungs up) to the rank of a Staff-Sergeant will on retirement still be paid the disability allowance based on the then pay of a private soldier. This is pittance compared to what he would get if it is based on his last drawn pay as a staff sergeant. I believe supporting and giving the injured soldiers realistic monetary aid will hardly “break the bank” and would be nothing compared to the excesses in public spending that we are bombarded with ever so frequently. I urge the Government to consider providing the disability pension to the injured soldiers based on their last drawn pay to enable them to benefit from a higher disability pension. The periodical calls by the authorities for youth of all races to join the Armed Forces will be better served when issues which directly effect the lives of soldiers especially those injured in the line of duty are promptly addressed. While we shout on the top of our lungs, Merdeka! Merdeka! Merdeka! let us not forget those who helped make all this happen. Admittedly, I'm totally ignorant about this 'disability pension (Pencen Hilang Upaya [PHU])'. 1. Has to qualify by attending the respective career promotion courses. 2. Has to sit for the practical and written promotion exams. 3. What if he is blind, spent two years learning the Braille (for blind). Is there resource/ref books in braille for the blind while attending carrier course/ prepare promotion exam. 4. Soldiers (ORs & offr) who lost their limps has to attend practical course/exam to qualify for promotion. Thus there is no motivation for these soldiers to expose their capability/capacity to the maximum in relation to their squad/batch, leave alone the acceptance by their superiors to have a handicapped soldier in the unit under their command and the unjustified look/statement handed down by peers in the unit. 5. A soldier must be FE (medically) to be promoted. Generally injured soldiers are categorized as BE and LE medically. 6. An injured soldier is a loser all round: medically not fit to attend career course/ promotion. 7. Injury incapacitate or restrict him/her from fully contributing his/her mental capability. introduce where OKU soldiers need to be promoted based on time scale. Commonsense dictates that they can no longer be subjected to the rules that apply to the normal soldier. No, I am not suggesting that OKU just sit back and wait in time to be promoted. Every OKU should be subjected to a medical examination from time to time, and an opinion by the doctor who can suggest as to his suitability for a job where he can be gainfully employed. However if injuries are so severe that he is totally un able to preform any duty, then his compensation in medically discharge should be such that it will be able to fend for himself for life.. Unfortunately our medical discharge system leaves much to be desired. 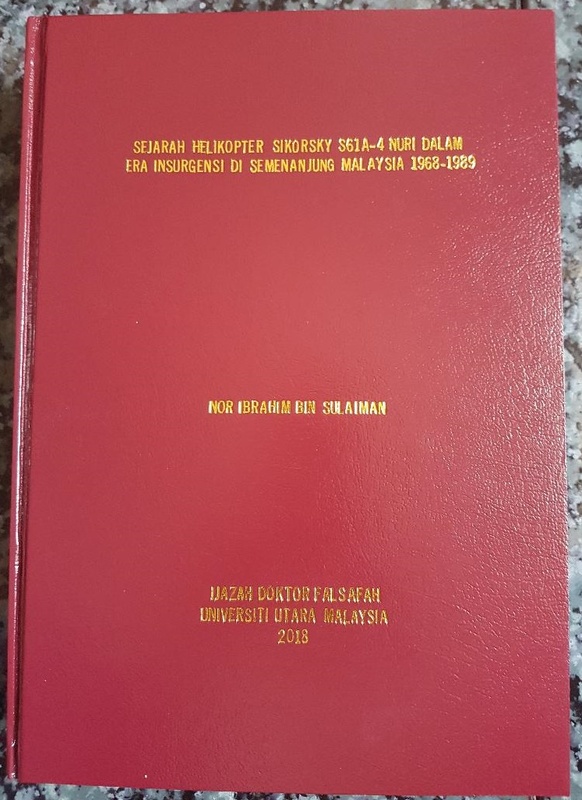 When I was the Deputy Camp Mindef one of my job was to forward cases of medical discharge boards to the what is now called the (attributory board) which was chaired by the Directory of Medical Services and a number of other officers namely from the pay services, record and pension etc. You will be surprised after the initial medical medical board conducted by senior medical officers who recommend say, 70% disability but when forwarded to the attributory board for approval almost in all cases this board will slash the recommendations to 30% . This is even happening now. One OKU officer recently was recommended for 78% by the initial medical board held at Tengku Mizan Hospital but was cut down to 50% by the attributory board without giving any reason. So how can a soldier survive when his own organization pins him down. Saya memang marah , orang kita tidak ada hati perut, bukan hendak tolong tertapi menghalang Dan sepak periok nasi orang OKU. Unless all this is addressed the fate of orang OKU will not improve.